FastClamp® has a wide range of applications and uses, bringing forth the ability to build many types of lightweight tubular structures. 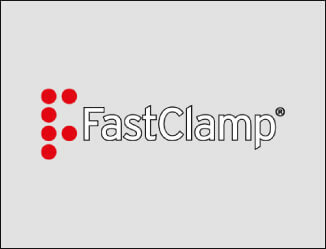 The variety and multiple applications that this product brings to the table makes FastClamp® an extremely intelligent investment. FastClamp® tubular fittings allow a huge variety of lightweight tubular structures to be constructed easily and effectively. They are utilised over a wide range of industries and are even seen in many public areas and public construction projects. Not only is there a huge variety in the structures that you can create, there is also a huge variety in dimensions of FastClamp® tubular fittings. This enables any project, large or small, to be created using this specific product. FastClamp® fittings are hot dip galvanised as a standard finish. This zinc coating protects this product from corrosion, making it an extremely durable product when used in outdoor applications. South West Steel offers a wide array of FastClamp® sections and attachments. If you are looking for these products and wish to see dimensions and prices then do not hesitate to contact us today for a free quotation.